Many people accept direct mail advertising, also known as junk mail, as a fact of life. But to Alan Durning, junk mail is a tax on the environment. In 2009, Durning launched a crusade on his mailbox, almost 10 years later he has reduced his junk mail to 15 pounds a year. He and many others say a "do not mail" registry could achieve the same thing nationwide. Bibliography In 2007 and 2008, 18 state legislatures introduced a wave of “do not mail” bills, but none passed. No state bills have been introduced since. The "do not mail" bills would have created state registries where individuals could choose to opt-out of receiving advertisements in the mail. The 18 states were: Arkansas, Colorado, Montana, Vermont, Connecticut, Hawaii, Maryland, Michigan, Missouri, New Jersey, New York, North Carolina, New Hampshire, Illinois, Rhode Island, Texas, Tennessee and Washington. Washington was one of the few states that held a hearing about its "do not mail" bill. Concerns about the impact on the environment, jobs and waste were central to the debate. 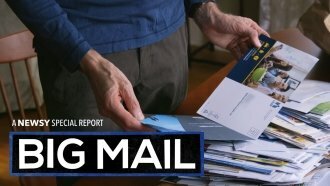 The Data & Marketing Association, a long with other industry organizations, launched a national campaign against the bills called Mail Moves America. The idea of a national "do not mail" registry has received little attention in the U.S. Congress in recent years.